PROMED SERVICES | Honesty. Integrity. Credibility. Promed Services has been providing Impartial Medical Evaluations (IME) for over 30 years—connected with the most prestigious area hospitals and credible physicians. Promed Services has a wide array of services from which to choose. We maintain a flexible approach to handling your needs to make sure all elements come together as seamlessly as possible, and in a timely manner. Promed Services also welcomes complex cases such as closed head injury, diabetes, fibromyalgia and CRPS (RSD). 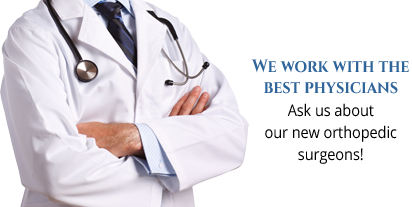 Our physicians are experienced, credible, and certified by the American Board of Medical Specialties. You will find that our entire staff and carefully selected Physicians are dedicated to providing the highest quality and service. is continuously recruiting new physicians to add to our extensive network of experienced consultants. If you hold credibility and quality among your most important principals and are interested in being considered to participate in the Promed Services network please click here.